Fully morticed and tenoned, this is a handsome and wide door with large bolection mouldings and would suit internal or external use. In good condition, we could strip the door back to the bare wood and we can convert the upper panels to glass if required, please contact us for options. 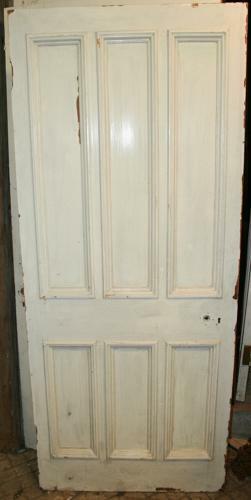 This is one of 7 sister doors of a similar size and style. See items DB0624 - DB0630.